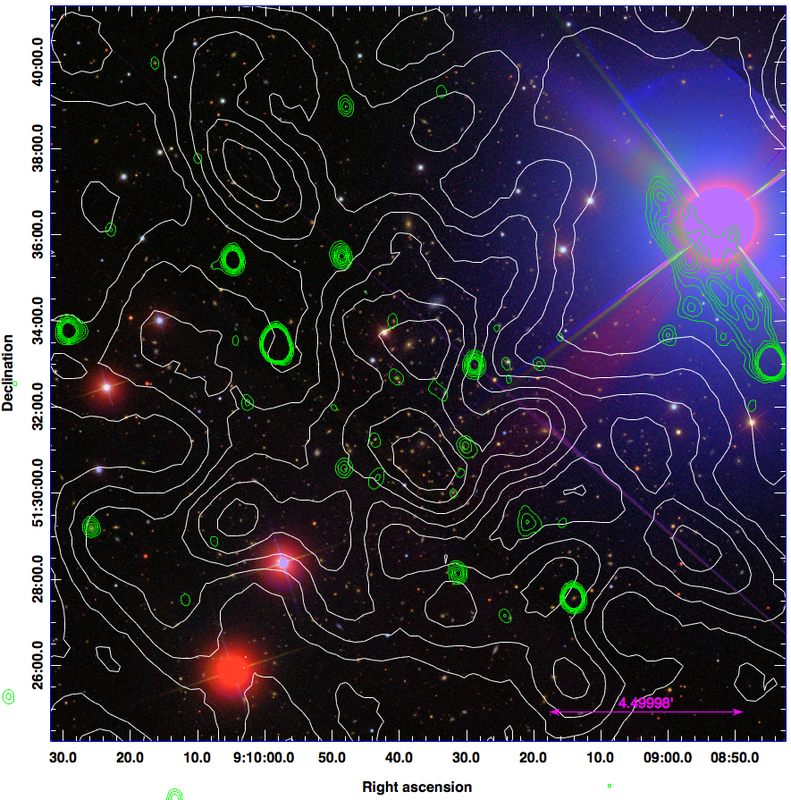 Abell 746 is a little studied cluster. van Weeren et al (2011) identified a radio relic candidate in NVSS and confirmed it with deeper WSRT 14.GHz imaging. They found that the relic is located 1.7 Mpc to the northwest of the cluster and has a physical extent of 1.1 x 0.3 Mpc. They also measured a large polarization fraction of ~50% (suggesting the merger axis is close to the plane of the sky). 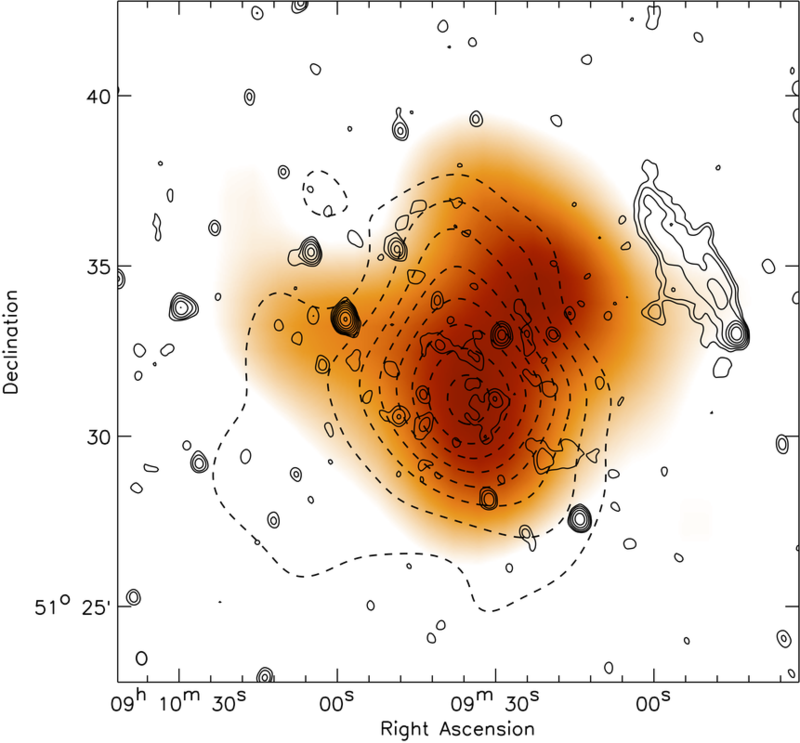 Their galaxy number density contours show a slight elongation along the north-south direction, which is roughly offset 45 degrees relative to the cluster relic axis. 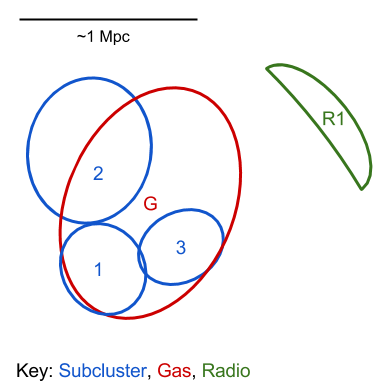 However, after closer inspection we find evidence of three subcluster, two of which have an axis in better agreement with the location of the radio relic. Based on SDSS photometric redshifts, ROSAT X-ray, WSRT radio.